It’s been a while since I’ve had an update, and I’ve pretty much lost track to how many hours I have in the garage since last documented. Rest assured, it’s been quite a few! Brandon, who mows my lawns in the summer, is becoming a good helper, and he is expressing interest in helping me with the plane build, and is even interested in possibly getting his license one day. 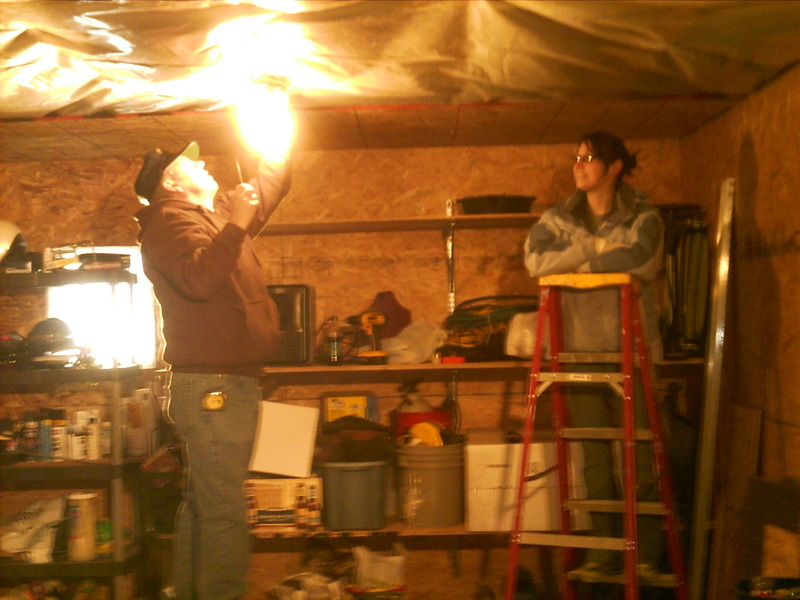 Dad, Kim, and Brandon helped me in completing 95% of putting up of the ceiling boards this weekend. I have someone coming at the beginning of next week to install a gas line and a vent in the garage to install the heater. 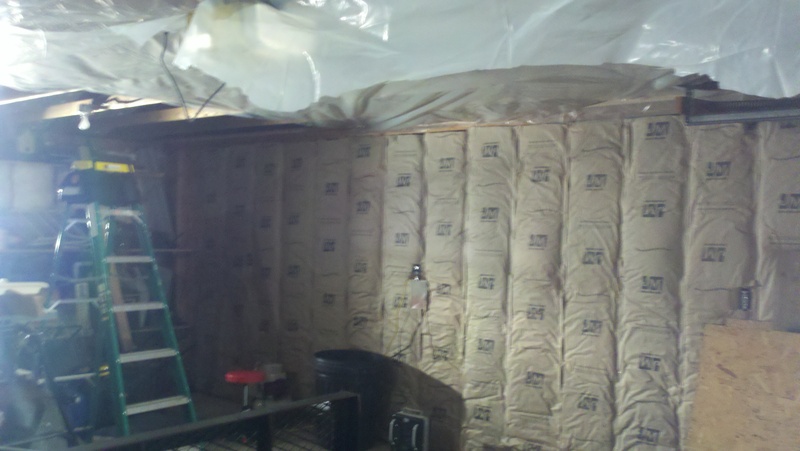 Then to add some insulation into the ceiling, and I should be about ready to wrap up that portion of the project. 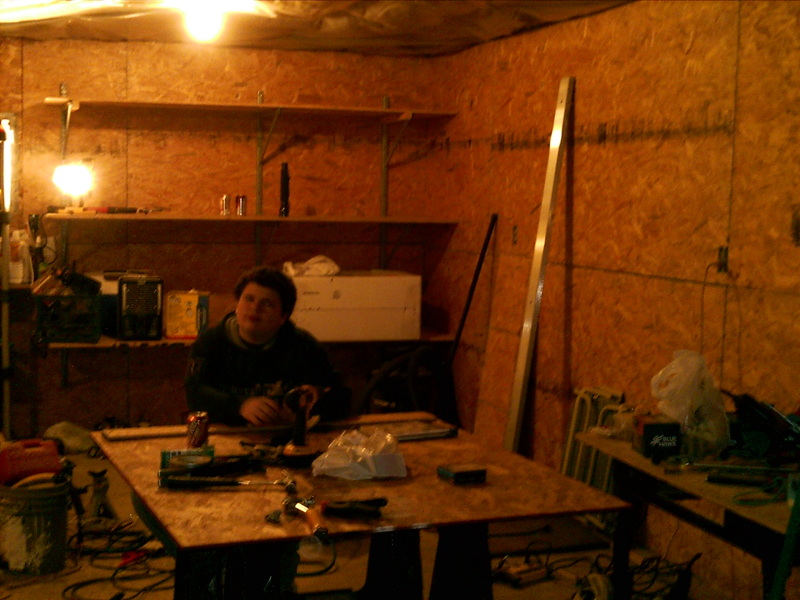 I am certainly itching to get started on building the table, hot box, and cloth storage. Original goal was to start on the plane build by spring, and so far, I’m not too far off. Stay tuned! This entry was posted in 00. Preparation, Completed:. Bookmark the permalink.